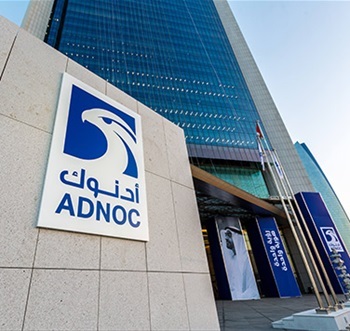 ADNOC Logistics & Services (ADNOC L&S), the marine and logistics subsidiary of the Abu Dhabi National Oil Company (ADNOC), announced, today, that it has reduced fuel consumption and carbon emissions by 23% across a fleet of 27 vessels. The project heavily leveraged digitization to improve energy performance, including to aid route planning, improve fuel monitoring and optimize engine speed. Upgrades – such as the installation of more efficient propellers and high-performance hull coating – improved vessel thrust. The company also took advantage of favorable market rates to charter an additional LNG vessel, ensuring that slow steaming could be adopted across the fleet, without affecting delivery schedules. A key tenet of ADNOC’s 2030 growth strategy is to maximize value from every barrel to deliver the greatest returns to the UAE. To date, the accumulated fuel savings from the ‘Al Daffah Energy Efficiency Project’ are 325,000 metric tons of heavy fuel oil – which is equivalent to the load of a VLCC tanker – exemplifying the significance of the project’s cumulative future worth, as ADNOC expands its production and downstream activities.